The driving story behind the ABC limited series Agent Carter will be the titular non-superhero tracking down her old friend Howard Stark's stolen weapons. As viewers saw in yesterday’s preview clip, Howard will be spending most of the show tracking down a few of his “babies” overseas, but his presence will be felt throughout the series, particularly through his future antagonist Anton Vanko, the latest comic book character to be cast. According to Comicbook.com, The Americans star Costa Ronin has been cast to play Anton Vanko. 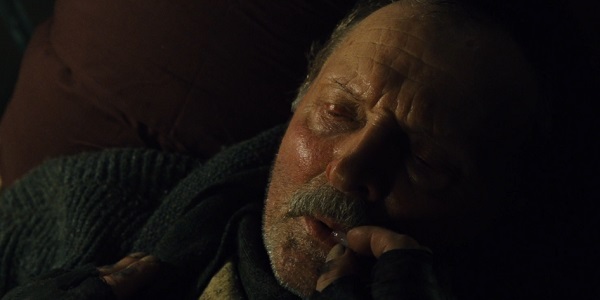 Anton is the father of Ivan Vanko, the main antagonist in Iron Man 2 played by Mickey Rourke. Other than Peggy and Howard, Ivan is the only previously established Marvel Cinematic Universe character slated to appear on the eight-episode limited series, although Marvel may announce more characters in the coming weeks. Ivan himself also appeared in Iron Man 2 played by Yevgeni Lazrev, seen below. While Howard and Anton didn’t create the arc reactor until the early 1960s, the show will likely explore the early development of the energy device. Think of it like the Death Star tease in Star Wars Episode II: Attack of the Clones. (Construction hadn’t begun on the space station yet, but Count Dooku had the schematics.) Agent Carter may take a similar approach and tease the reactor through a set of blueprints that Howard or Ivan has. Iron Man 2 established that Anton defected to the United States in 1963 to work with Howard, so if the two of them are acquainted with each other in 1946, Anton must be traveling between the U.S. and Russia to collaborate with the American inventor. Given how the 1950s were filled with Cold War paranoia, that arrangement probably won’t last much longer. Agent Carter will premiere on ABC on Tuesday, January 6 at 9:00 p.m. EST, taking Agents of S.H.I.E.L.D.’s time-slot while that show is on hiatus.